There are two categories for RoboPlay Competitions: RoboPlay Video and RoboPlay Challenge. The RoboPlay Video Competition is completed within the classroom and submitted online. 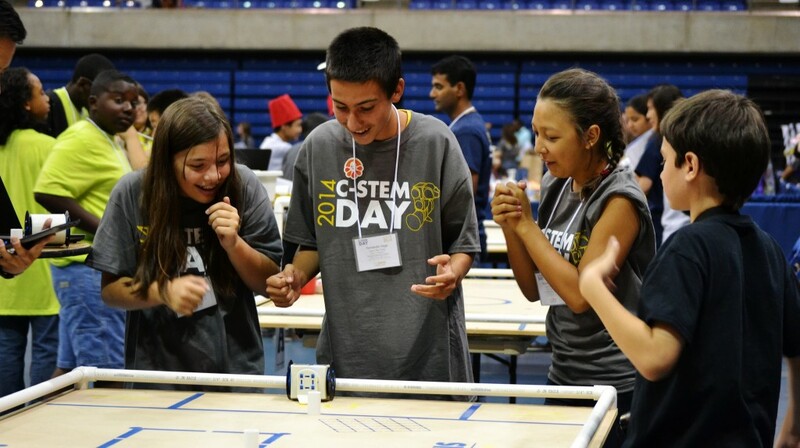 The RoboPlay Challenge Competition is held on the C-STEM Day at respective locations. The Math Programming Competition is held on the C-STEM Day on campus in a computer lab in 2121A Bainer Hall (UC Davis MAP). For information on how to get involved, please see our Volunteers page. A preliminary schedule of events for C-STEM Day is posted below including both the Math Programming Competition and RoboPlay Challenge Competition. Details are subject to change. The C-STEM Day events are open to public. Students and teachers who want to come to observe the C-STEM Day activities are welcome to do so free of charge.